What toon scared of scares the crap out of u with their visuals? 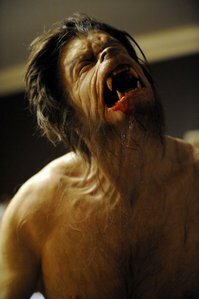 i want someone to tell me thats not scary :S. The toon is called being human once u get past being traumatiza lol with georges transformation process its a pretty decent show. ill recomend it with the proper warning do to the visual and sexual content.